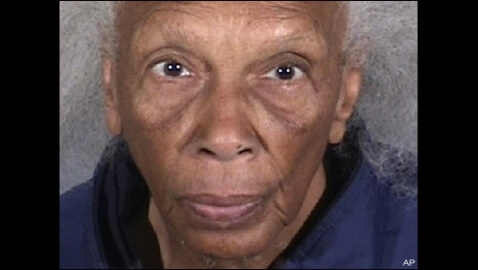 Doris Thompson is an 82 year old career criminal. She was arrested last month in an El Segundo Hotel without incident. She was charged Tuesday with seven counts of commercial burglary and one count of attempted burglary. She boasts a 20-page rap sheet dating back to 1955, with 10 burglary convictions since 1983. She also carries charges for disturbing the peace, forgery, and grand theft. She was arrested in connection with a homicide in 1957, but was later committed to a hospital for insanity. In 1984, she even escaped from prison while serving a 30 day sentence, but was convicted of petty theft a year later. Burglarizing doctor’s offices appears to be her specialty. In December 2010, she stole $1,400 in cash, checks, a device to test children’s hearing, and a urine container from Children’s Medical Group inTorrance. She pled guilty and was sentenced to two years in prison, but she was released on parole last November. She was quickly back to her old tricks. Police say she stole about $17,000 in her latest string of eight robberies. She hides in the bathroom of the doctor’s office until employees leave, then pries open drawers, rummaging for anything she can find, including cash, checks, and stamps. She was caught because a detective familiar with her recognized her from security camera footage. He recognized her hair, with its distinctive stand-on-end style from a Beverly Hills Police Bulletin released a few years ago. She also goes by the name Doris Gambler and 25 other aliases. Security camera footage also played a role in connecting her with these current crimes. She struggled to hear until a hearing aid device was given to her. Judge Sokolov, who was also the judge presiding over her last case, entered a not guilty plea on her behalf and set bail at $260,000. Two years ago she was willing to go to prison, saying she wouldn’t be back until she “was in the morgue”, District Attorney Paullete Paccione told ABC News “‘She [Doris] said, ‘I do these things. I plead guilty. I do my time like a lady’”. But this time she will be reappearing in court on September 8th and not quietly going to prison.